Nick and Noelle have been in competition against each other from their Christmas day births to their present adulthood. 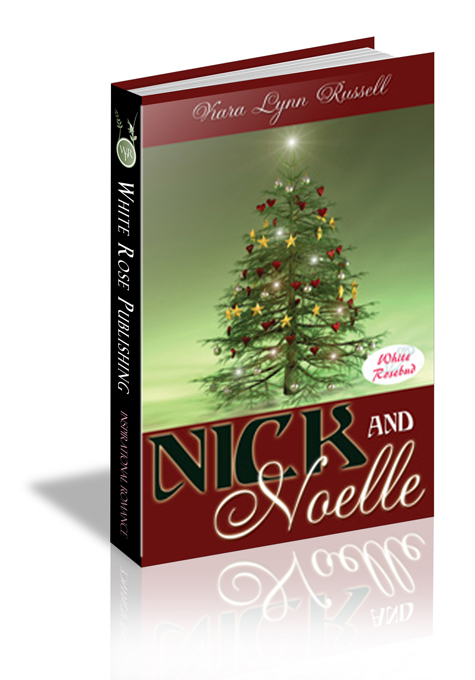 After their rivalry causes chaos at a youth group event, Pastor Thorn assigns Nick and Noelle the task of decorating the church for Christmas. Can Nick and Noelle cooperate? Will they end up killing each other – or maybe kissing each other? "I'm trying to be nice." He refused to back up and knew she couldn't as the counter was behind her. "Have lunch with me." "That's what I came in to talk to you about. I wanted to take you to lunch to talk about decorating the church for Christmas." Noelle placed her hands on his chest and pushed. He didn't move. "I didn't know I was being given a choice." "You are. What's your answer?" "And if 'really Nick' comes out of your mouth one more time today I'll..." He stared at her mouth. She was close enough to silence with a kiss. He was suddenly aware of her palms, still flattened across his chest. For several heartbeats he stood there, incredibly attuned to her nearness, her warmth, the smell of her shampoo. Had he lost his mind? Abruptly, he backed away.